The Maya calendar end date 2012 has generated curiosity across the globe, giving rise to cataclysmic dooms-day theories as well as to predictions of a “New Era” -- one in which man and nature coexist in peace. Hotel Xixim (http://www.hotelxixim.com), located in the pristine Celestun Biosphere Reserve on the western Yucatan Peninsula, is offering an educational symposium featuring expert speakers on Mayan creation theory, its relationship to the Mayan date theory, and the launch of the new Mayan Era. The educational symposium takes place November 16-18 at Hotel Xixim. Special package prices are available. The Maya were great astronomers and studied celestial movements to interpret best timing in agriculture, politics and social life. According to the “long count” Mayan calendar and Mayan creation mythology, December 21, 2012 (which also is the exact 2012 Winter Solstice date), signifies the end of a World Age, the end of 13 b’ak’tuns (5,125 years, 133 days). On November 16-18, a special symposium called “A Mayan Cosmic Gathering” (“Encuentro Cósmico Maya”) organized by Hotel Xixim, Celestun, Yucatan, will feature three expert speakers on Mayan cosmogony, the facts about the end of the Mayan calendar, and the myths and truth about Mayan science and spiritual beliefs. Dr. Arcadio Poveda Ricalde, renowned astronomer, Dr. Tomas Gallareta, Mayan archaeologist, and Professor Marte Trejo, a Mayanologist expert in the Mayan metaphysical perspective, will offer insights into the real meaning of the Mayan 2012 date. 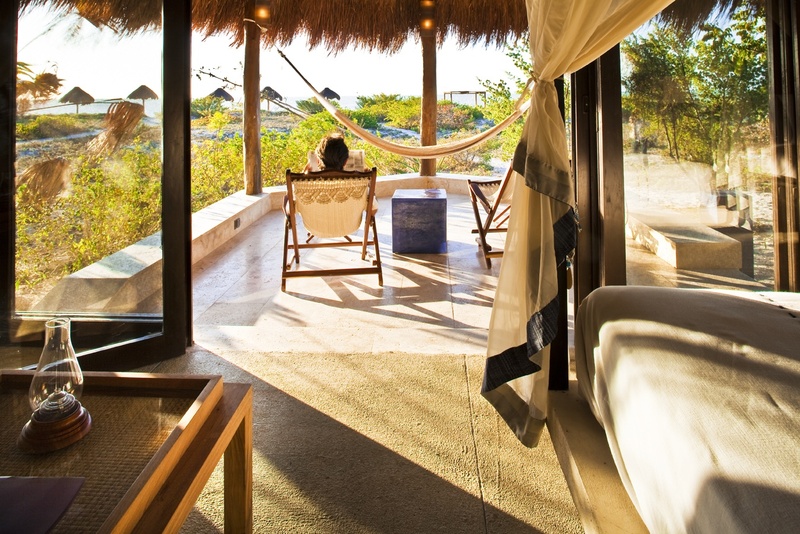 The symposium takes place at Hotel Xixim, located just one hour west of the city of Merida, and nestled in tropical coastal vegetation on the pristine white sand beaches of western Yucatan. The Mayan theory of the origin of the universe contains a prophecy of events that will happen at the close of the “long count” Mayan calendar (the end of the 13th B’ak’tun period of nearly 5,200 years). Mythic events and actions of Mayan deities recorded at the beginning of the present era directly relate to predicted events that will occur at the end of this era in 2012. The expert speakers will discuss the ancient beliefs and relate them to the present. Participants are expected to arrive from nearby Merida, from Mexico City, and from parts of the U.S., Canada and Europe. Nonstop flights arrive daily to Merida from Houston and Miami with connections from most U.S. and Canadian cities. Connecting flights are also available via Mexico City. Transfers from the Merida airport are provided by Hotel Xixim for this symposium package. Individuals, couples, and groups can participate in the Mayan Cosmic Gathering package offered by Hotel Xixim for $498 US or 6370 pesos per person based on two sharing a Mayan bungalow suite. Special group rates are available for groups of 5 suites or more by contacting the hotel at groups(at)hotelxixim(dot)com. The package price includes 2 nights accommodations, 3 meals daily, all non-alcoholic beverages, a field trip with a Mayan guide to the nearby archaeological zone of Oxkintok, round trip transfers from the Merida airport to the hotel, and participation in the Mayan educational symposium. Additional nights are available from $135 per person including breakfast and taxes. A longer stay is suggested to visit other nearby Mayan archaeological sites. 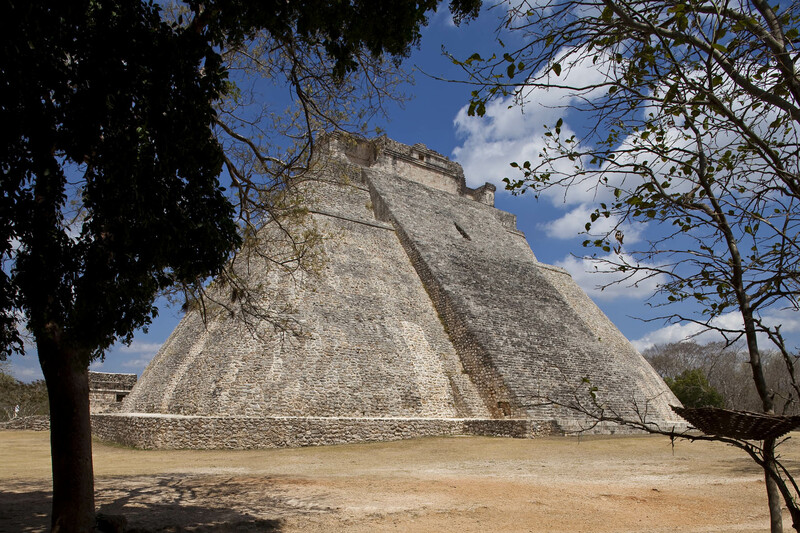 Guided tours are available from Hotel Xixim to explore the amazing ancient city of Uxmal and adjacent Kabah. Symposium participants will also experience Hotel Xixim’s unique Mayan fusion cuisine including gastronomic specialties such as Cochinita Pibil (pork loin marinated in achiote and baked in banana leaves) and Yax Xin salad. The hotel’s new Wellness Center and SPA offers a Mayan mineral salts body scrub, massage, and other relaxing treatments. “Mayan Cosmic Gathering packages” including the symposium, as well as extended stays at Hotel Xixim can be booked from the hotel’s website (http://www.hotelxixim.com).